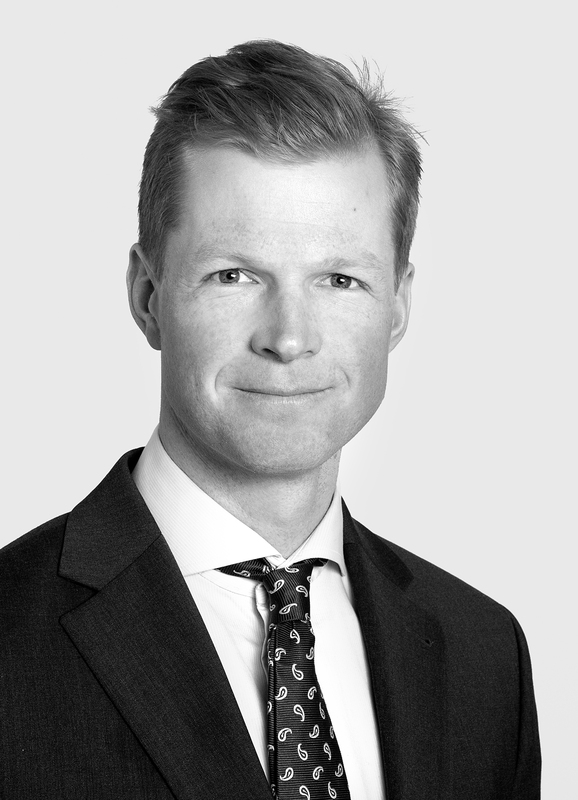 In the first quarter, Arctic's Fixed Income team was strengthened with Vegard Kjølhamar, who takes the role of analyst/portfolio manager. Vegard comes from DNB, where he has worked as a credit analyst within the corporate banking division, and most recently, in the high-yield bonds division in DNB Markets. The 33-year-old, who is originally from Jar outside Oslo, has since his studies at the University of Colorado had an interest in investments and company analysis, which combined with credit experience in DNB and the CFA study, should give him a good starting point for the job. In addition to his interest in studying companies and credits, Vegard thrives in the woods and on the mountains, with or without skis. Vegard will work with Arctic's long-standing Fixed Income team, Cathrine Foyn, and Trond Tømmerås. With five stars in Morningstar for the Arctic Return fund, the question is whether Vegard knows the pressure - something he apparently takes with tranquility. - It is nice to see that the fund has a solid history. This indicates that I work with a good and experienced team. I would like to contribute in further developing the way we work, so the funds will be even more robust in the future. The pressure is probably most on those who have been involved in creating the history, says the reflected credit analyst. Being able to manage Arctic’s Fixed Income funds is in contrast to the first years in his career and his various positions in Norway's largest financial group. Expectations and thoughts from working in a relatively large team to a boutique with pointed products are something he looks forward to. - I assume that some of the largest benefits of working in a smaller organization are less legacy and faster decision-making that will allow one to move faster toward where one sees the greatest potential for creating value. Although I will largely follow similar markets as in the investment bank in DNB, the biggest difference in the job itself will be that I am now going to make investment decisions. Most people may not be dealing primarily with analysis and a constant focus on risk. We challenge Vegard to give us some insight into what it means in everyday life, and what he focuses on as a credit analyst, in general. - When considering corporate bonds, one tries to price the risk associated with lending the money to the company. Unlike equity investors who would to earn directly on every dollar the company increases its cash flow, corporate bond investors are primarily downside focused as the upside (ROI) will be limited while the uncertainty is in getting the money back. One considers the expected return on the bond against the company's ability to generate sufficient cash flow to repay the bond, to what extent the company's balance sheet values will cover the debt if the company comes into trouble, whether the bond loan agreement provides adequate protection, etc. During an upturn, the trend will be that the loan agreements are written more and more in the issuer's favor, which we also see clearly in this upswing. Covenants become weaker, the company can take up more debt with priority ahead the bond and allowable discretionary adjustments become larger. Therefore I think that today one should put some extra emphasis on understanding the differences between the different loan agreements and where the companies obtain greater leeway than they should be allowed to given the expected return. Various loan agreements and various companies are also central when comparing larger and established companies with those companies that belong to the high-yield segment. The segment, which the team primarily invest in through Arctic High Return, has seen great development over the last decade. What to look out for in high-yield bonds, and is this something most people should invest in? - The popularity of high-yield bonds will fluctuate with the business cycle, but over time high-yield bonds will yield good returns. The combination of a long upturn after the financial crisis and low-interest rates has made high-yielding bonds popular, as there have been low default rates for a long time and investors who want bond exposure have reached for higher-yielding instruments to achieve sufficient returns. When the stock market falls due to a downturn in the economy, the companies with weaker balance sheets would also have more difficulties in servicing their debt, so one would expect high-yield bonds and funds to have a positive correlation with equities. Bond prices would fall due to investors’ expectations of higher defaults. Although defaults increase, they rarely become as large as investors fear in a recession and will typically offer good buying opportunities. History shows that if you sit on a well-diversified portfolio of high-yield bonds, you will get well off from a recession if you force yourself to sit on the investment, and/or preferably increase your investment through the recession. Vegard has been part of the Fixed Income team for a period of time now and has apparently already entered the portfolio well. Still much to learn, but on the question of whether he can point out one company, the choice fell on the industrial adventure on Norway’s west coast, Ekornes. - We think Ekornes' newly issued 4.5 year bond with a NIBOR + 700 bps coupon provides an interesting opportunity as one is exposed to a company with long traditions, solid historical cash flow generation, efficient, robotic production, and boring but well-known brands. With a new owner, the company looks to be able to increase its earnings potential through relatively cheap growth in China. The bond, which we invested in through Arctic High Return, also provides diversification relative to an oil and shipping heavy Nordic high yield bond market. Lastly, an occasionally established truth, is that fixed income managers do not invest in shares - and vice versa. But if he had to, which stock would he choose if he should invest 100 NOK? - If I had only had 100 NOK at my disposal, I would probably have saved more before I had invested in anything other than bank deposits, the bond manager replies with a smile. Vegard will work closely on the portfolio for both Arctic Return and Arctic High Return. You can read more about the funds on Arctic's web pages or at your share savings account / IPS supplier. Historical returns in Arctic's Fixed Income funds are no guarantee for future returns. Future returns will depend, among other things, on market development, managerial skill, fund risk and management costs of the various share classes. The return may at times be negative as a result of price losses.